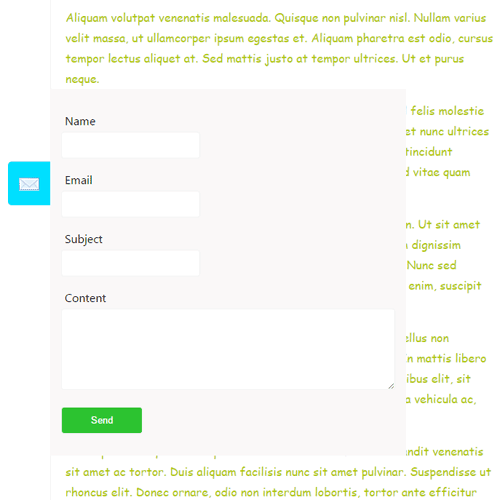 jQuery floating contact form gives modern look and feels to our website. 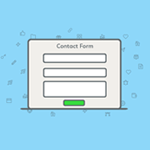 This tutorial has an example to show a sticky floating contact form in a web page. In this example, we have a contact icon which will be sliding up and down based on the page scroll. On clicking this icon the contact form display is controlled by jQuery show hide effect. Initially, we are showing sticky contact icon to slide over the content scroll. On clicking this icon, the contact form will be floated on the content area. Other than that, we have contact form jQuery validation, mail sending scripts as we have seen in previous contact form tutorials. Download source to get complete code.